When Odo and Eleanor stumble upon an ancient sword in a river outside their village, something very unexpected happens… the sword starts to talk! Much to Odo’s dismay he discovers that he’s awoken a famous enchanted blade called Biter, and thus has instantly become a knight. Eleanor would love to become a knight – but she’s not the one with the sword. 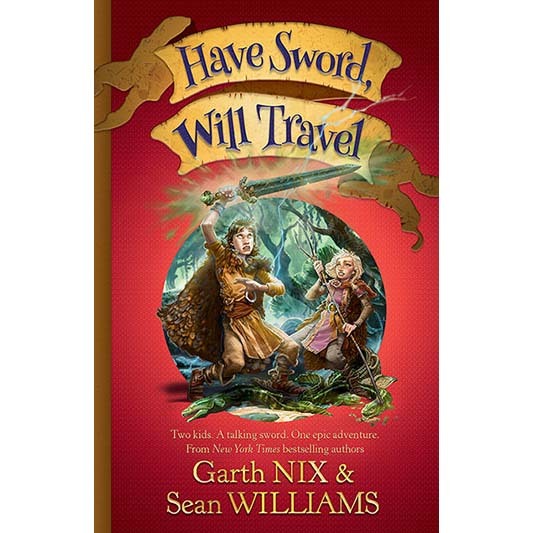 Unearthing Biter is only the start of their troubles; soon boy, girl and sword must depart on a noble quest to save their kingdom from threats – in both human and dragon form.